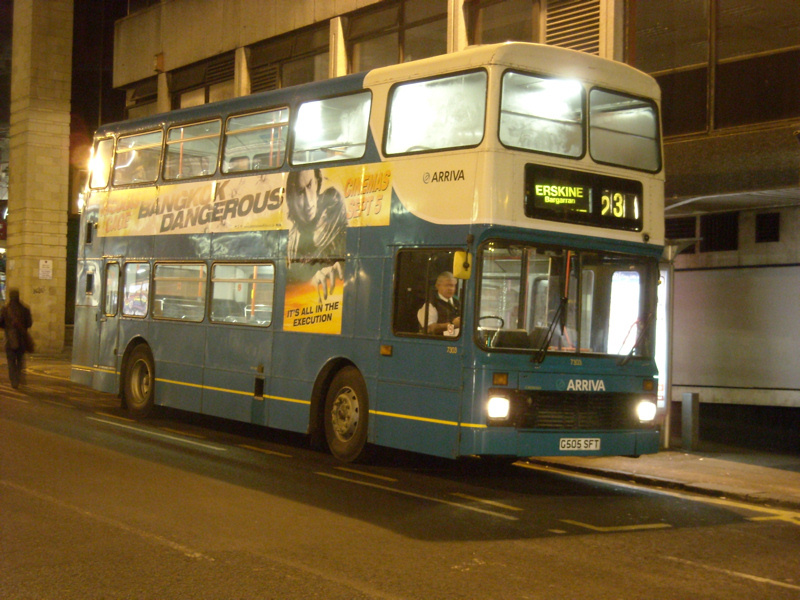 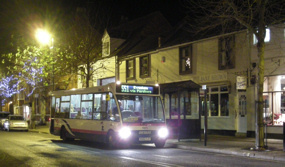 A selection of bus photos taken at night during 2008. 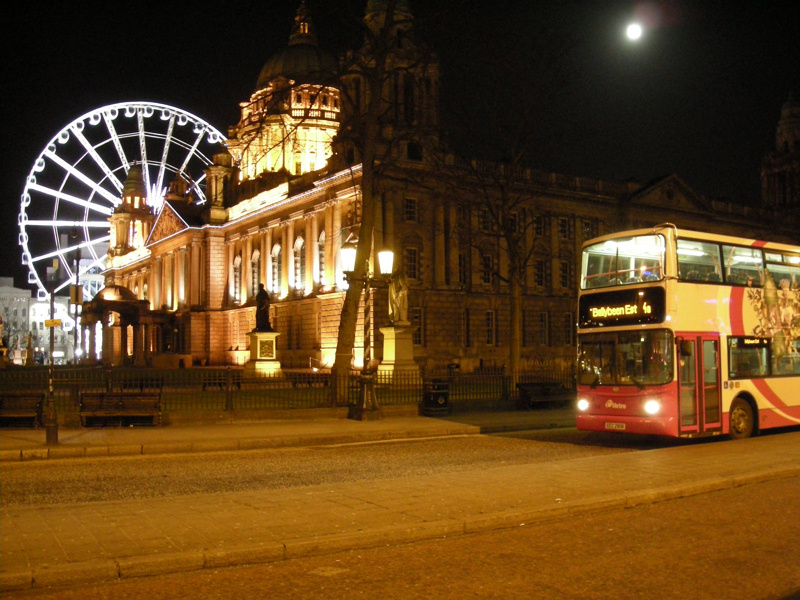 Good Friday is a significant day in the calendar of Northern Ireland. 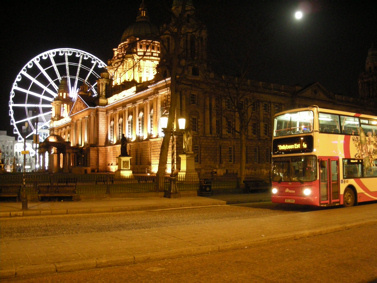 Captured here in Belfast on the evening of Good Friday 2008 are a double decker from the Metro fleet outside the City Hall, and a couple of coaches from the Ulsterbus fleet in the Europa bus station. 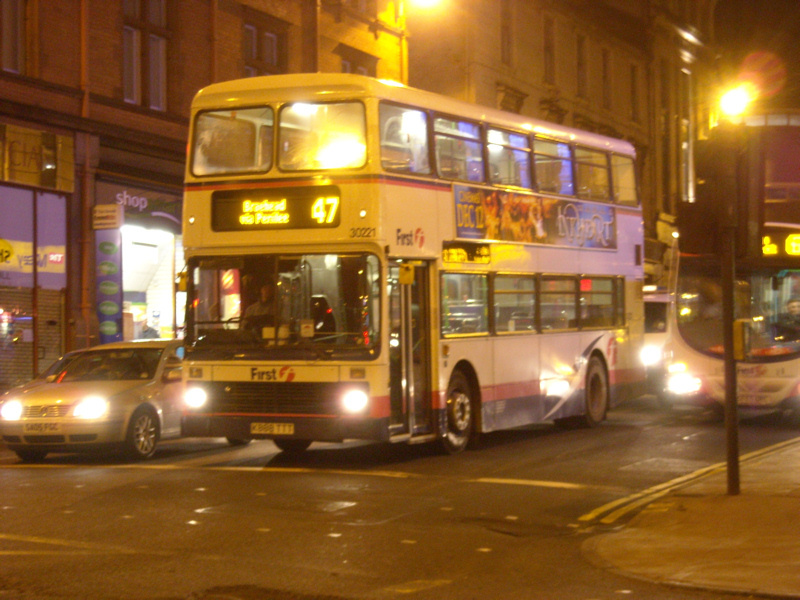 Even though the major groups continue invest heavily in new vehicles, they still have quite a few elderly double deckers in service. 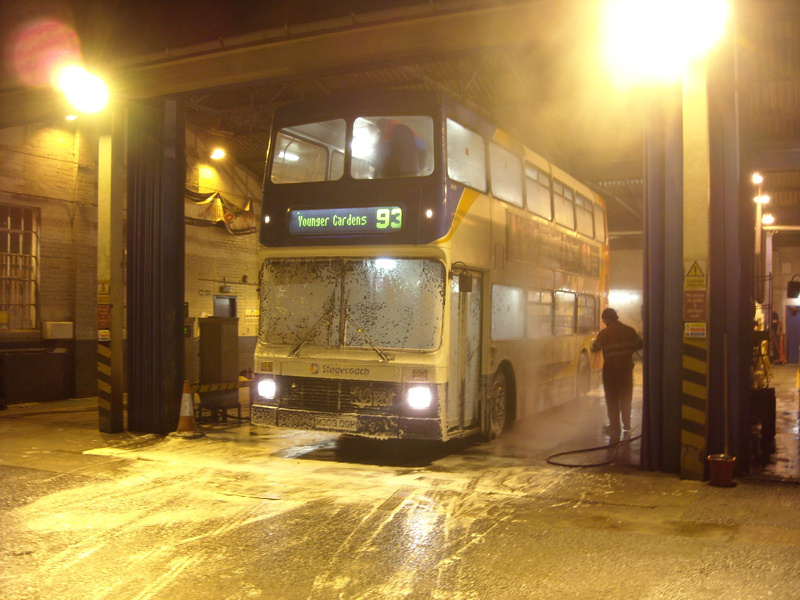 Here a Stagecoach Fife Olympian is seen being cleaned in St. Andrews depot, a First Glasgow Olympian - one of a batch that started life with Capital Citybus - trundles through Glasgow and an Arriva Olympian waits to depart for Erskine from its Glasgow terminus. 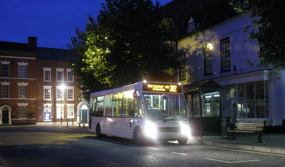 The bus industry continues to experiment with different types of fuel technology. 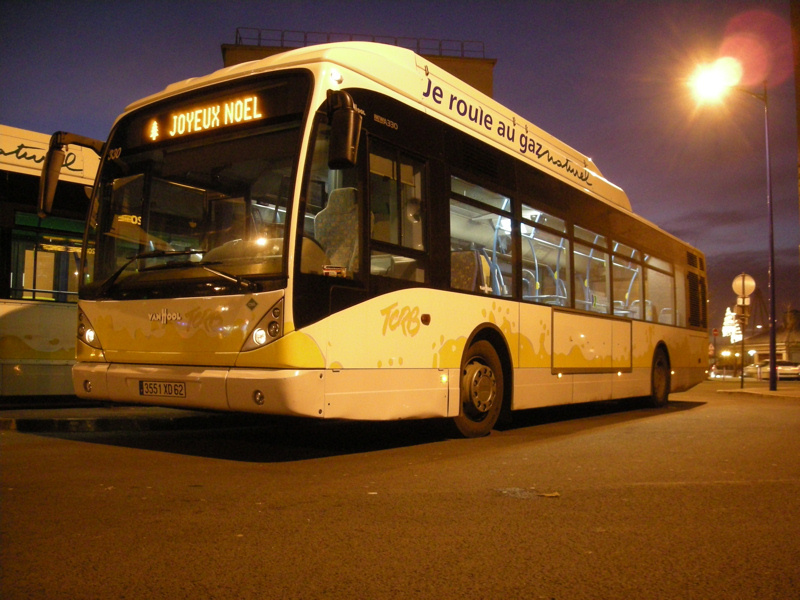 Boulogne already has a large fleet of gas powered vehicles and this was supplemented by another batch in 2008. 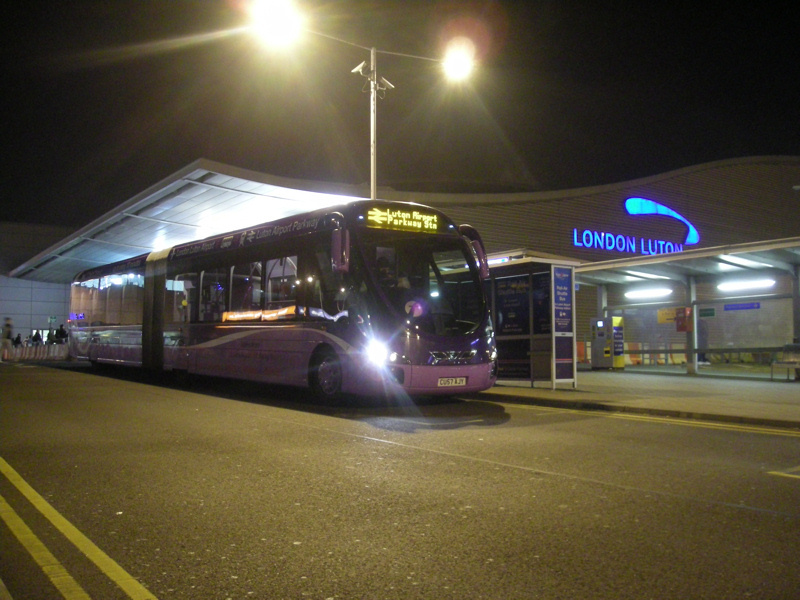 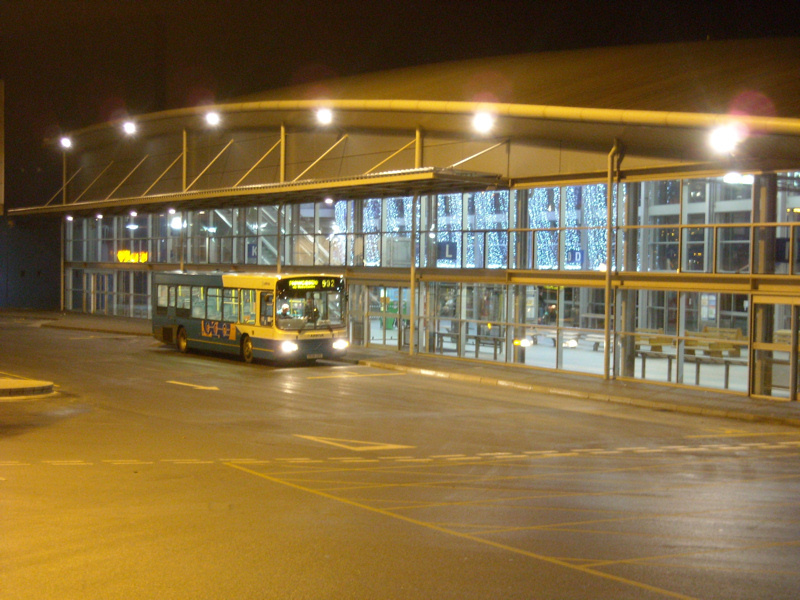 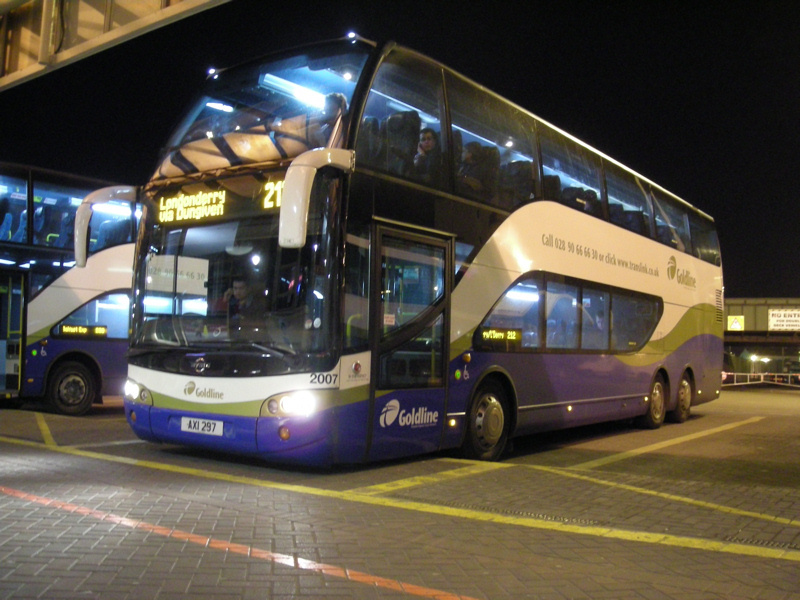 First has deployed ftr buses eventually destined for South Wales on services at Luton Airport. These vehicles look like trams but are just buses in disguise. 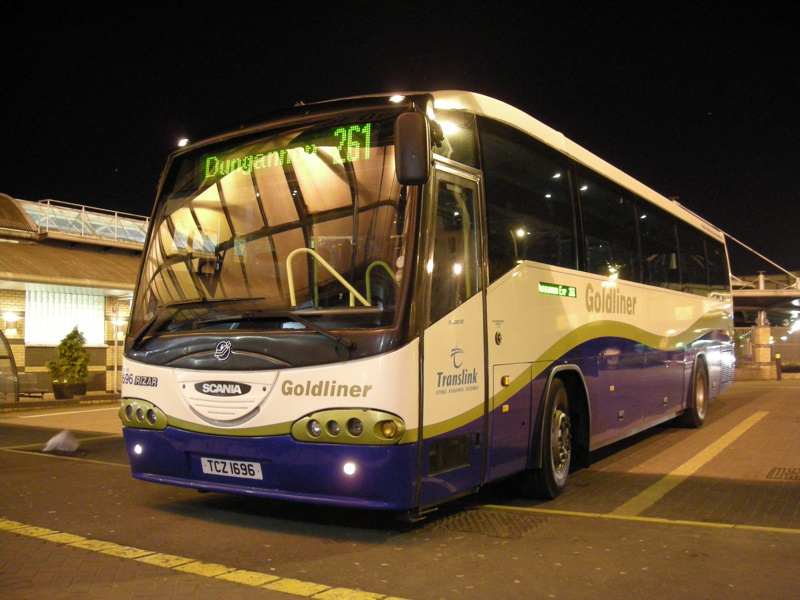 And Reading has now bought the ethanol powered double decker that had been on loan there. 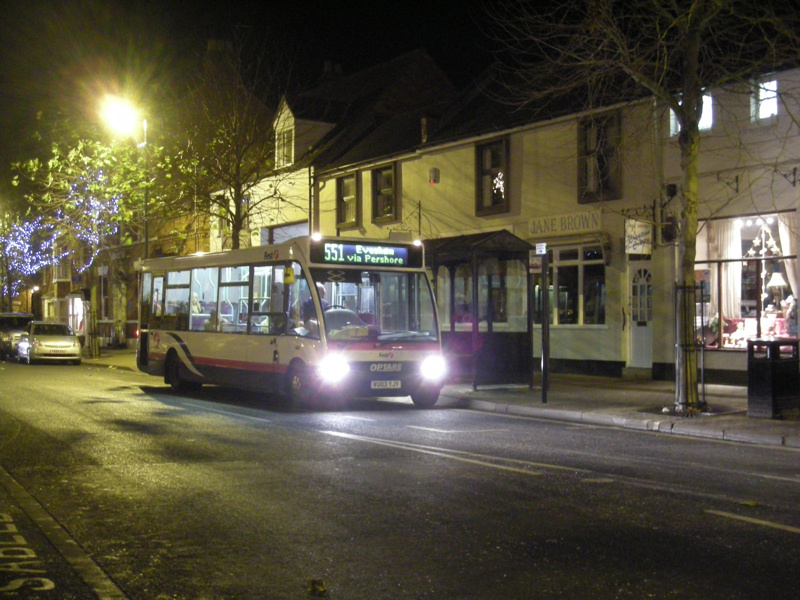 Pershore is a picturesque village that lies to the South East of Worcester. 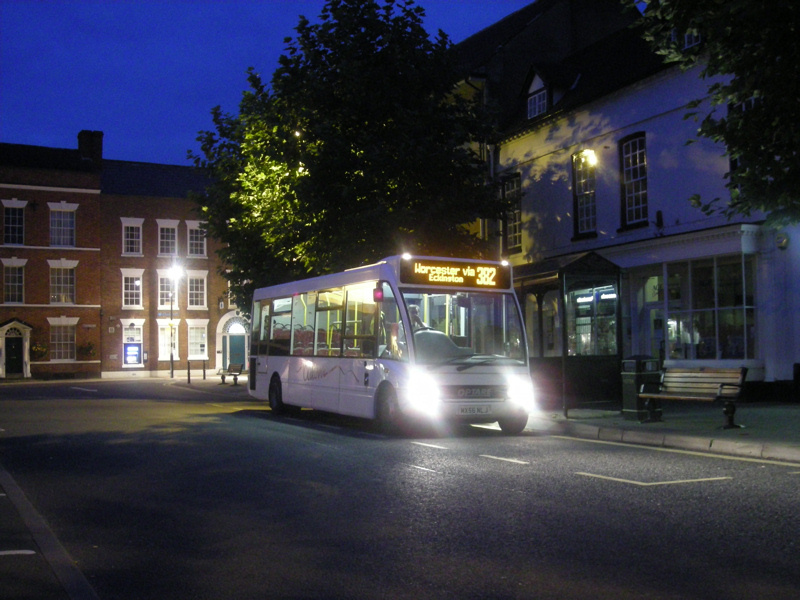 Two minibuses on opposite sides of the main square are seen here - one from Astons, who are now owned by Transdev and one from First Midlands West - the inspirational name that First is using for its former First Wyvern company. 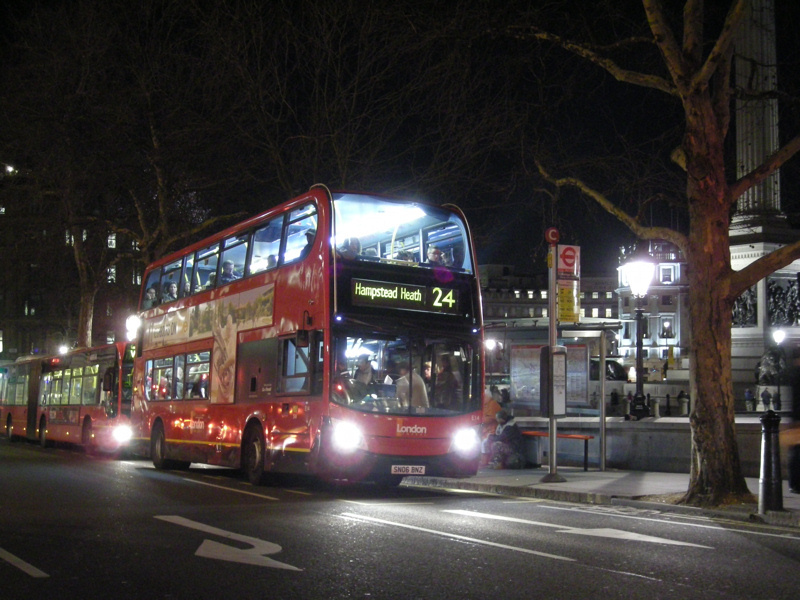 One of London's high profile services has changed hands again. 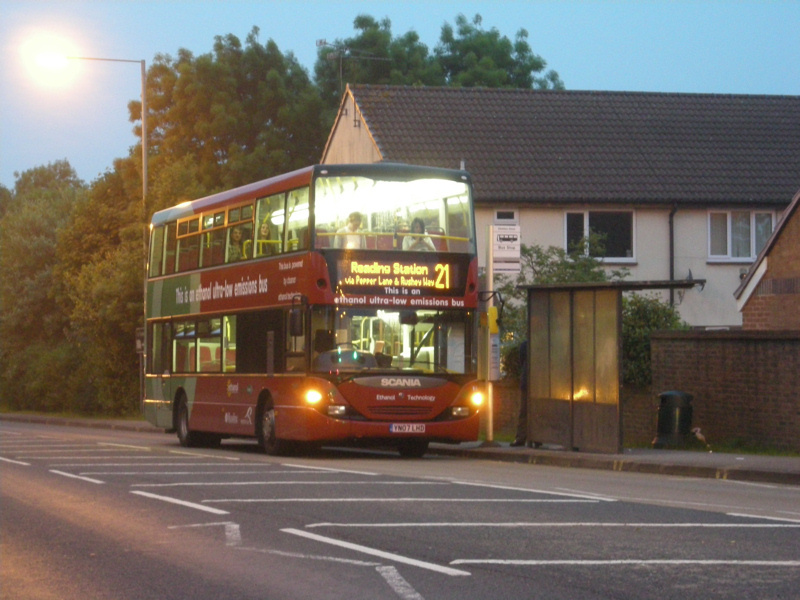 No sooner had Metroline started operating the 24 than London General was awarded the re-tender. 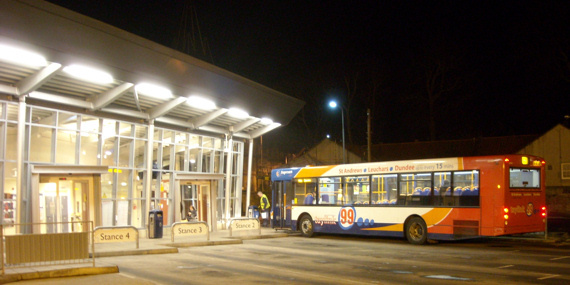 The 67 route from Berwick to Galashiels has been operated by four companies in as many years. 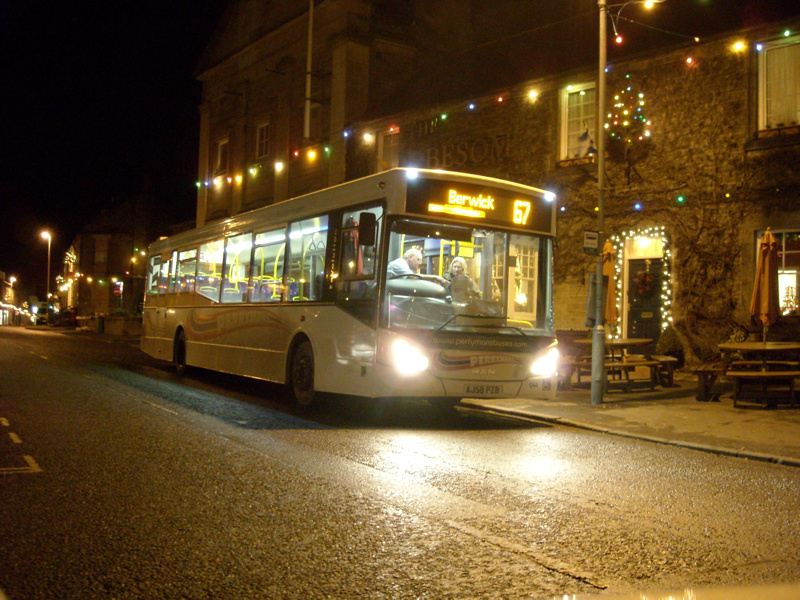 The latest is Perrymans who use new MCV bodied vehicles as seen in Coldstream. 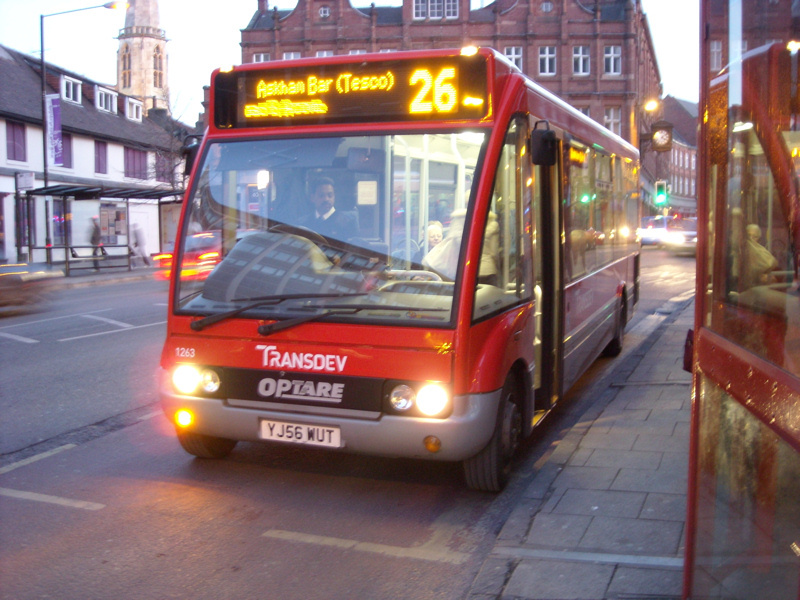 A most unusual acquisition in 2008 saw Transdev buy the York city services of Veolia another major group.